On February 1st, 2016, I will be caucusing for Senator Bernie Sanders for United States President in the Iowa Democratic Party Caucuses, and this is why! 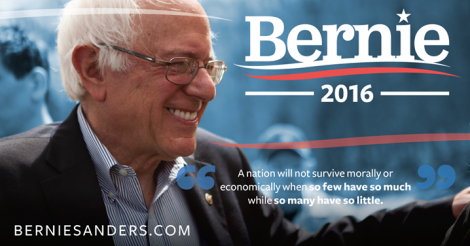 Senator Bernie Sanders is serving his 2nd term in the U.S. Senate. He won his last election with 71%. Bernie has served 16 years in the U.S. House, and he is the longest serving independent in our nation’s history. Bernie Sanders served 4 terms as the Mayor of Burlington, Vermont and he was first elected in 1981. In the 60s, as a student and activist, Bernie was a front-line champion for equality. He was even arrested while protesting the segregation of schools, he organized against segregated housing in Chicago, and he marched on Washington, D.C. with Dr. Martin Luther King, Jr. I will caucus for Bernie Sanders because he believes in real family values, values that strengthen the bonds of the family and improve the lives of our families. Bernie cosponsored Sen. Kirsent Gilibrand’s FAMILY Act, which would guarantee every employee twelve weeks of paid family and medical leave. Bernie also cosponsored Sen. Patty Murray’s Healthy Families Act, which would guarantee seven days of paid sick leave per year for American workers. I will caucus for Bernie because he understands that to create decent paying jobs you must invest in the U.S. and our youth. 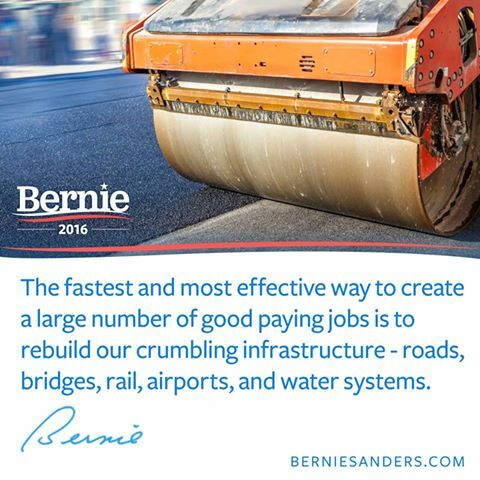 Bernie introduced legislation which would invest $1 trillion over five years to modernize our country’s physical infrastructure, creating and maintaining at least 13 million good-paying jobs. Bernie opposed bad trade deals such as NAFTA, CAFTA, permanent normal trade relations (PNTR) with China, and the TPP. Bernie also introduced the Employ Young Americans Now Act with Rep. John Conyers. It would provide $5.5 billion in immediate funding to employ one million young Americans between the ages of 16 and 24. I will caucus for Bernie because he understands the impact of income and wealth inequality. I will caucus for Bernie because he will fight to get big money out of politics. Bernie introduced the Democracy Is for People constitutional amendment to overturn the Supreme Court’s Citizens United decision. 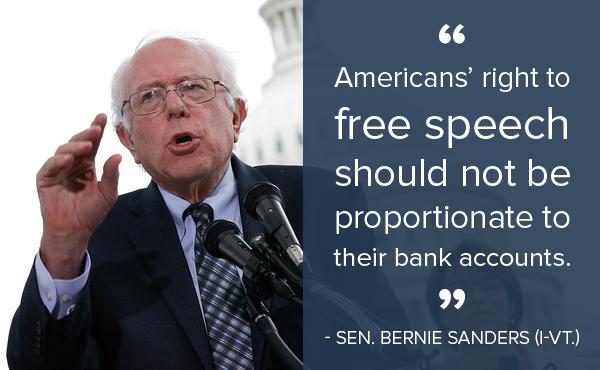 Bernie voted for the DISCLOSE Act to shine a light on the exorbitant amounts of dark money in our politics. Bernie has even promised that any Sanders Administration Supreme Court nominee will commit to overturning the disastrous Citizens United decision. I will caucus for Bernie because he will combat climate change and protect our environment. Bernie led the opposition to the Keystone XL pipeline. Bernie introduced the gold standard for climate change legislation with Sen. Barbara Boxer to tax carbon and methane emissions. 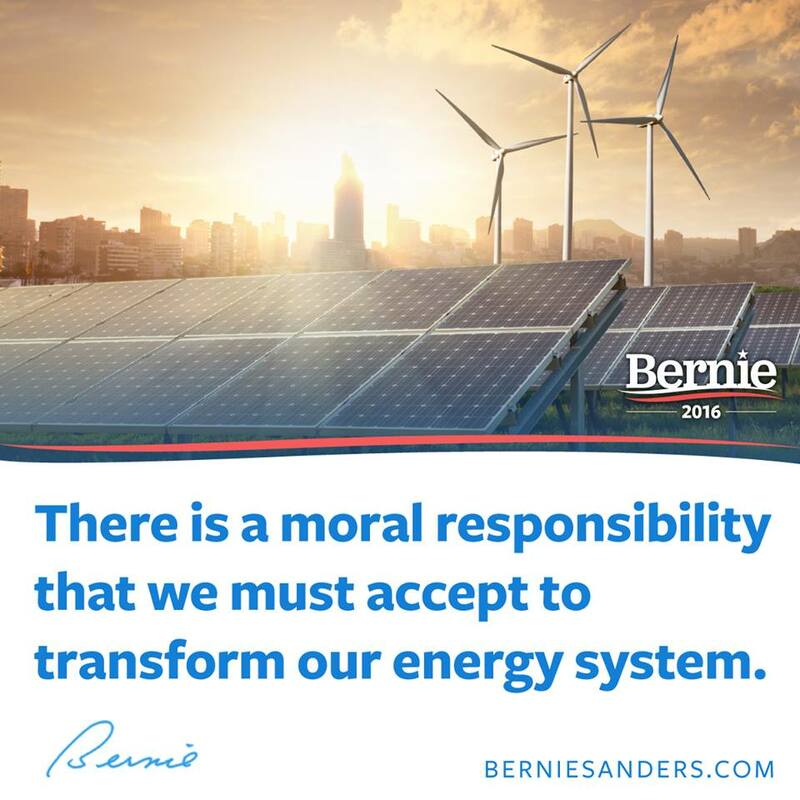 Bernie also secured $3.2 billion in the economic stimulus package for grants to reduce greenhouse gas emissions, in a program that has funded upgrades for more than 86,000 buildings and installed more than 9,500 solar energy systems. 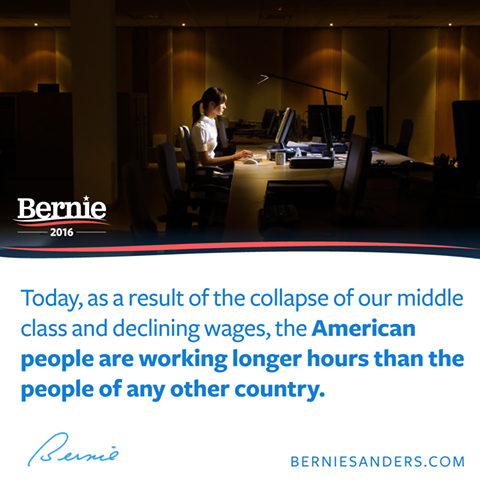 I will caucus for Bernie because he will fight for a living wage. Bernie introduced a budget amendment to raise the minimum wage. Bernie also introduced the “Workplace Democracy Act” to strengthen the role of unions and the voices of working people on the job. I am impressed! Thank you! Next We Need Medicare-for-all NOW!